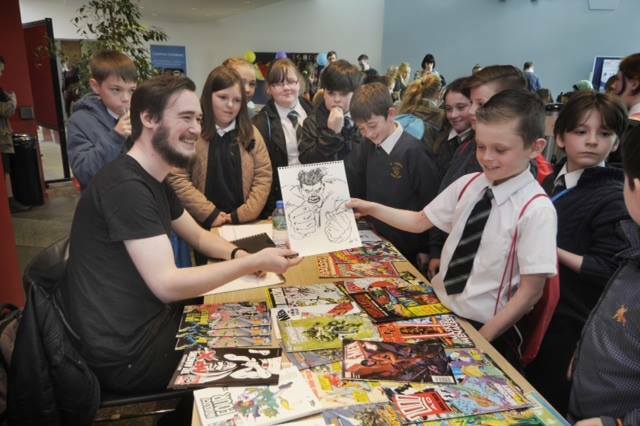 The Annual Dundee Comics Day is held at the end of October as part of the Dundee Literary Festival. Since 2007 it has attracted top comics industry talent, who give insightful and lively talks about their creative process. Past guests have included Grant Morrison, Dave Gibbons, Frank Quietly, Peter Doherty, Rian Hughes, Frazer Irving, Cameron Stewart, John Wagner, Montynero, Dan McDaid, Sydney Jordan, John Ridgway, Ian Kennedy,Robbie Morrison, Simon Fraser, Andrew Wildman, Tanya Roberts, Kev Hopgood, Warren Ellis, Bryan Talbot, Alan Grant, Alan Davis, Pat Mills,Simon Furman, Dez Skinn, Rian Hughes, Nana Li, Gary Erskine, Hunt Emerson, Metaphrog, Keith Robson, Ilya, Emma Vieceli, Morris Heggie, Bill McLoughlin, and David Bishop. Dee Con (previously known as DOJ-CON) is a free anime, comics, games and animation convention, held on all 5 floors of the University of Dundee Student’s Union. It’s a whole day of jolly good fun, featuring artist’s tables, film screenings, industry presentations, cosplaying, and a whole lot more! It is also the fundraiser for the animation Degree Show at DJCAD and is organised by Animation students, with a little help from SCCS. The Expo is a comics mart style event held in April each year, sometimes in conjunction with Dee-Con. The Expo features a range of small press creators and industry professionals. The Dundee Comics Prize runs every summer with the prize (affectionately known as the Tartan Bucket) being announced at Dundee Comics Day and published in Anthology or Tales of The UniVerse. 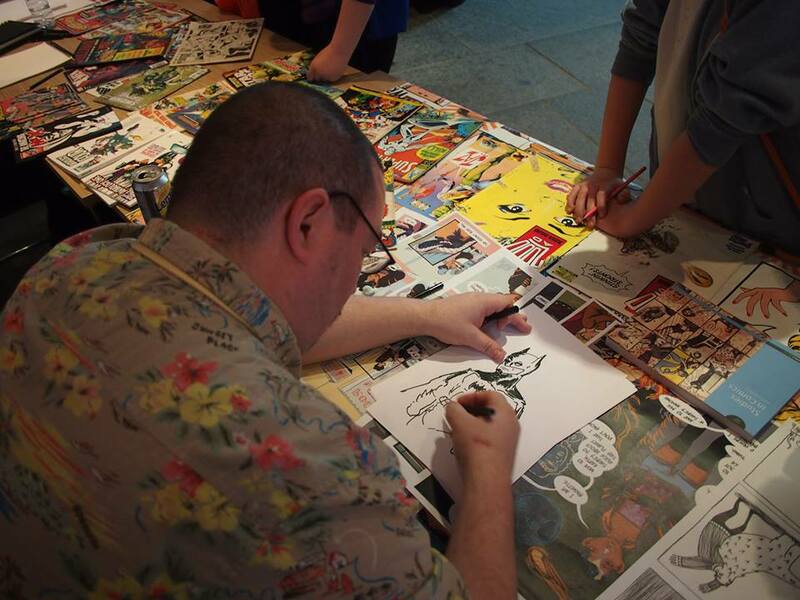 The first competition, held in 2011, was to create a DC Thomson style humour strip, while the second, held in 2012, was to re-create Britain’s first home-grown superhero, The Amazing Mr X. The third competition, in 2013, was to create a science-fiction themed story. 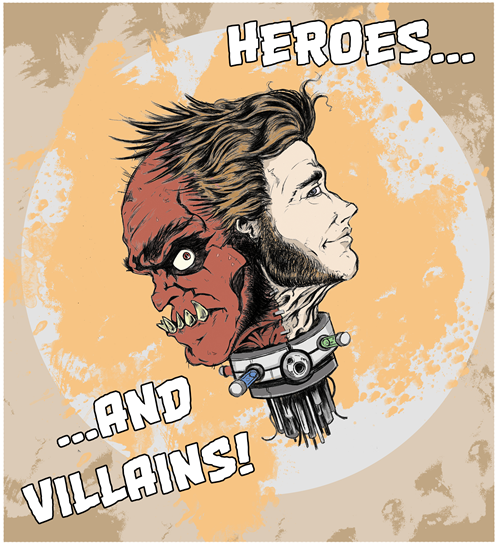 The theme of the 2014 competition is Heroes and Villains. For more information see our facebook page. 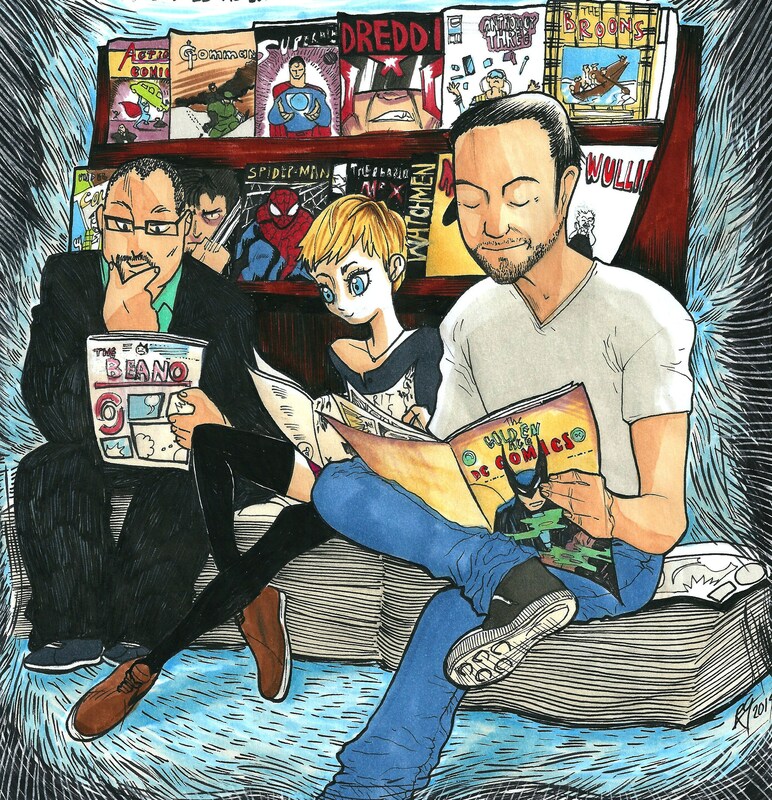 DeeCAP combines comic art and performance and was conceived as a way for an audience to experience comics in a very different environment from the usual solitary reading of strips in books or tablets. It also allows comics creators to think about their process in a new way. At a DeeCAP show visual imagery, which can include comics, art or illustrations, are projected onto a screen behind the presenters as they read out stories and interact with the pictures. Keep up to date with DeeCAP events on our facebook page. As part of its commitment to public engagement the College of Arts and Social Sciences at the University of Dundee organises several events each year to bring the public into the campus, or to host events in the community. 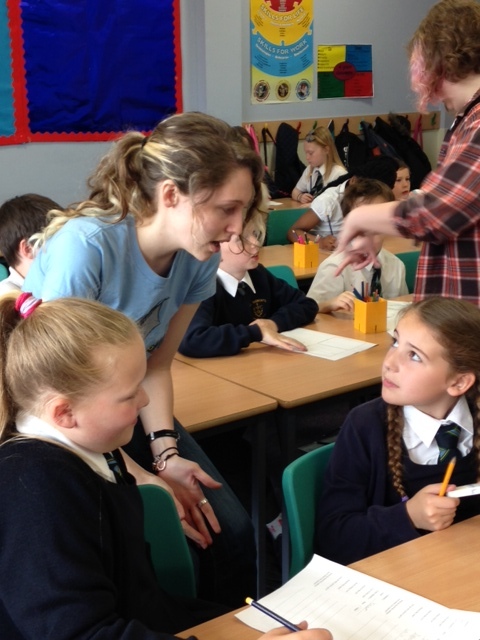 This often takes the form of workshops with schoolchildren. SCCS participates in many of these events.